While the boom of watches Citizen Ecodrive Watch is driving today’s watch market and creating chaos among the potential watch buyers and collectors. This is Eco-Drive watch which is a brand name owned by Citizen Watches. As the name suggests Eco-drive wristwatches are powered by light. Citizen Eco Watch never needs a battery because these watches take light as the source for power. An eco-drive watch which provides 180 days Power Reserve. This watch is design has perfectly crafted with the best metal that makes them precise and comfortable. The most important thing in this Citizenwatch is Dual Time and show World time with 23 Cities Indicator. The unique blue dial looks so smart with highly luminous hands and hour markers. This watch is well protected by the Scratch resistant Sapphire Crystal and water resistance is 100m. In this watch date display at 4 o’clock position. Citizen Chronograph Watch is very special and well known for a multifunction sport watch with a stopwatch functions. Most have three sub-dials or mini dials for measuring minutes and hours. When used in conjunction with specialized scales on the watch dial, it can perform many different functions, such as determining speed or distance. This Citizen Eco Drive Chronograph also offer so many features like Insufficient Charge Warning Function, Overcharge Prevention Function, Rotating Inner Dial Ring and Instant Start Function. It works on Quartz Movement. The case diameter of this Watch is 43mm, thickness is 11.5mm, Lug width is 20mm and Weight is 150 grams. 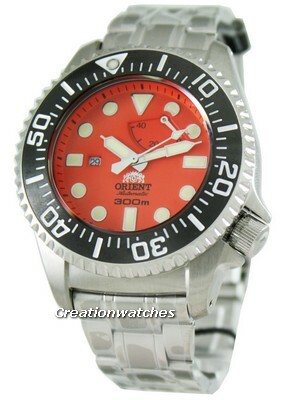 This watch is available for US $235.00 with us. 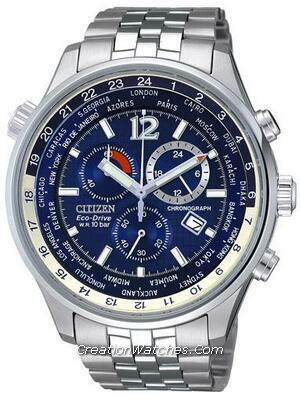 Newsletter: Sale on Citizen Super-Titanium Eco-Drive watch. Coupon inside! Newsletter : Luminox Watches On Sale – 5% Discount Coupon Inside! !